Guandolo has been praised for his knowledge of the Islamic world. “Raising a Jihadi Generation needs to be in the hands of every police officer in America.” wrote a Los Angeles County Sheriff’s deputy . But in other circles he’s been criticized for “Muslim bashing” and presenting an inaccurate assessment of the issues. Oh sure, he’s already gone after college professors who weren’t sufficiently anti-Muslim. He’s identified mosques that he says are bases of operation for militant Islam. He’s asserted that Muslims have no First Amendment rights in America and aim only to “subjugate” the nation. But it was just last week that he made what may be his most remarkable claim yet, insisting that John Brennan, President Obama’s nominee to head the Central Intelligence Agency, is secretly a Muslim convert working to undermine the Constitution. 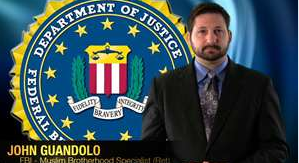 Mr. Guandolo currently works advising governments – U.S. and others – on matters related to National Security, specifically the threat from the Global Islamic Movement. He actively advises members of Congress, law enforcement, the intelligence community, military, National Guard, key community leaders, and others. 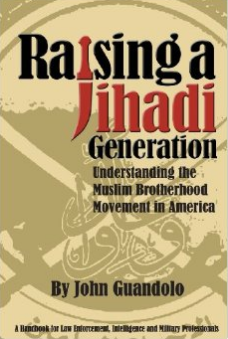 He is an adjunct instructor at the Joint Forces Staff College and the U.S. Army War College, and is one of the authors of the “Shariah – The Threat to America,” the first comprehensive book on the threat from the Islamic Movement in the U.S. He has appeared on television and radio, and regularly publishes articles related to these matters in a number of media outlets. Posted: 10/7/13 at 9:05 AM under FBI, News Story. When FBI agents talk I listen.LOL! Omargh Ireland bombing created with C4 explosives provided by Boston FBI SAC James Greenleaf to Whitey Bulger who gave it to IRA.